Come and celebrate the greatest moment in history! Easter promises hope, new life, forgiveness, and unending love; these promises are made for you! 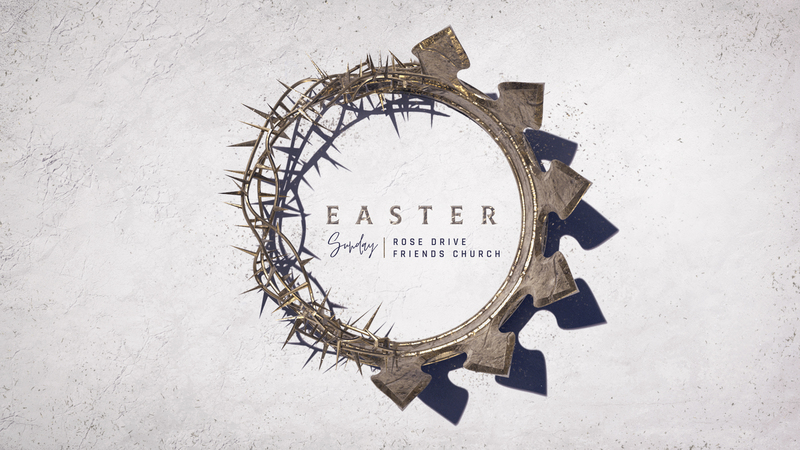 We hope you will join us for one of our Easter services, at 9 and 10:30AM. Children’s programming through 5th grade will be available. Serve on Easter! Easter is one of our most highly attended services of the year! In anticipation of our guests, we have many opportunities for you to serve. Come make a difference! To learn more, email Heidi Matson at heidim@rdf.org! 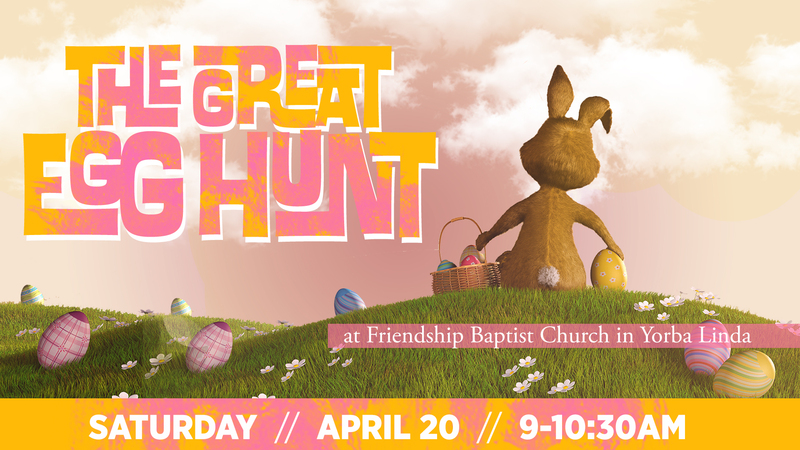 Friendship Baptist and Rose Drive Friends are at it again with our4th annual The Great Egg Hunt! We’ll have more bouncers, bigger slides, RAD music, Chick-Fil-A, Kettle Corn, caricatures and a photo op with the Easter Bunny. To round out the morning, we’ll also have face painters, Starbucks, and cotton candy! 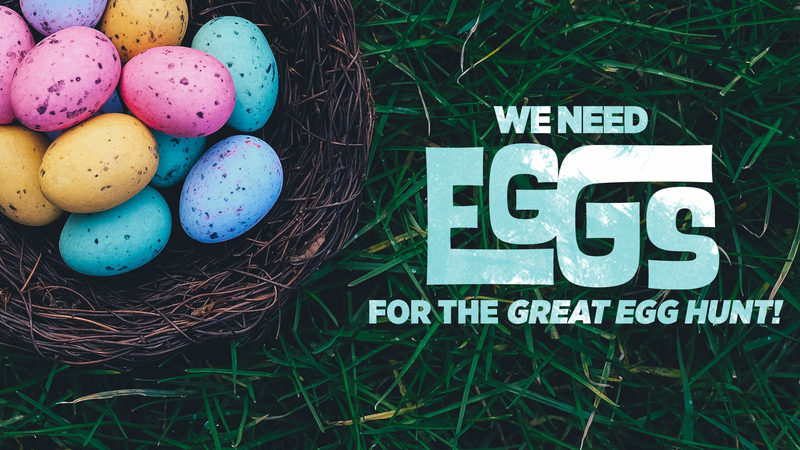 Plan to join the fun with egg hunts for kids through 5th grade! Help us to make this event EPIC! Below are some examples of where we will need people to help! Start time: 8:30 AM – We need 3 people to help with face painting, and even more people to help with crafts at the event! ***And yes, of course you can also purchase pre-filled eggs from anywhere else on the planet you desire! 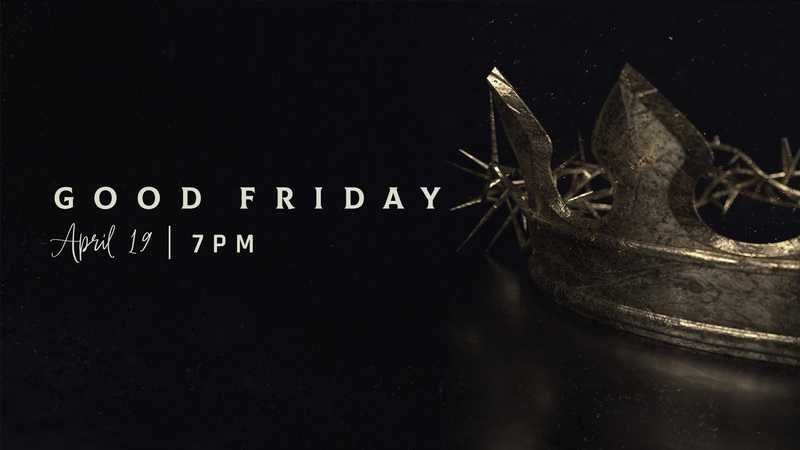 We will be having a Good Friday service on April 19 at 7PM. We hope you will be able to join us, as this is always a rich and meaningful time of reflection on the sacrifice of Christ. Communion will be served.